The power of a solid Sitka spruce top is paired with a laminate koa back and sides. The only non-cutaway in this series. With a mid-range similar to mahogany, you will hear warm accompaniment music from this amazingly value priced guitar. The Breedlove Bridge Truss gives extra sustain for greater overtone enrichment and blossoming notes. Each of the six models has an African ebony fretboard and bridge. Factory equipped with LR Baggs EAS electronics and a Breedlove gigbag. 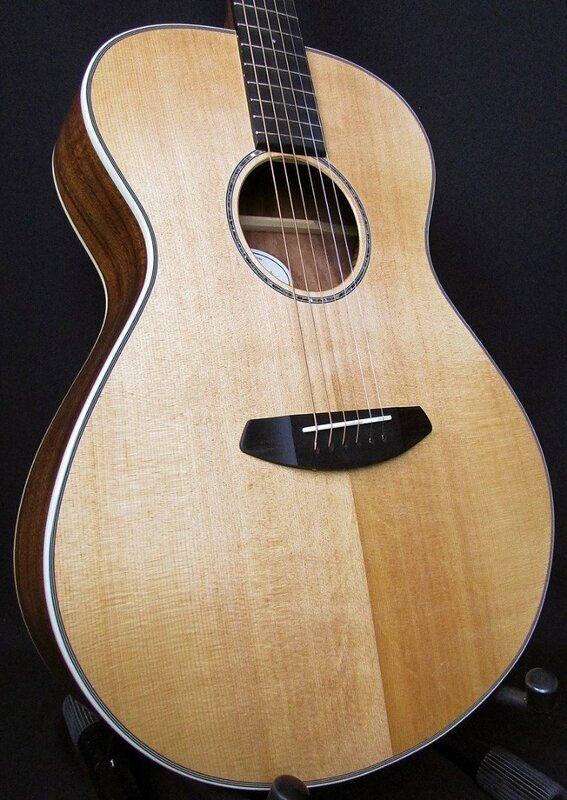 You will sound better, play better and play more on a Breedlove.